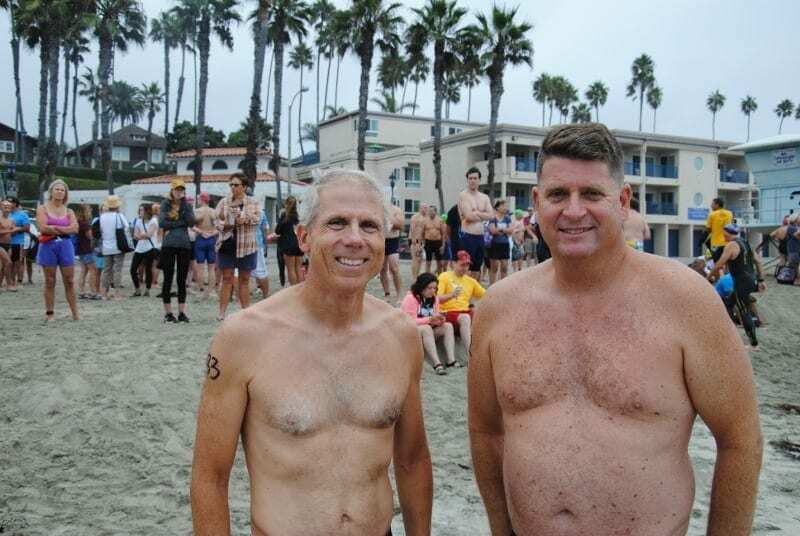 The Annual Labor Day Pier Swim began in 1929 and is as much a part of Oceanside as the Top Gun house, San Luis Rey Mission, Camp Pendleton and Pacific Coast Highway. It is prolific and has shown to have longevity even throughout the years in which the whole country was struggling. 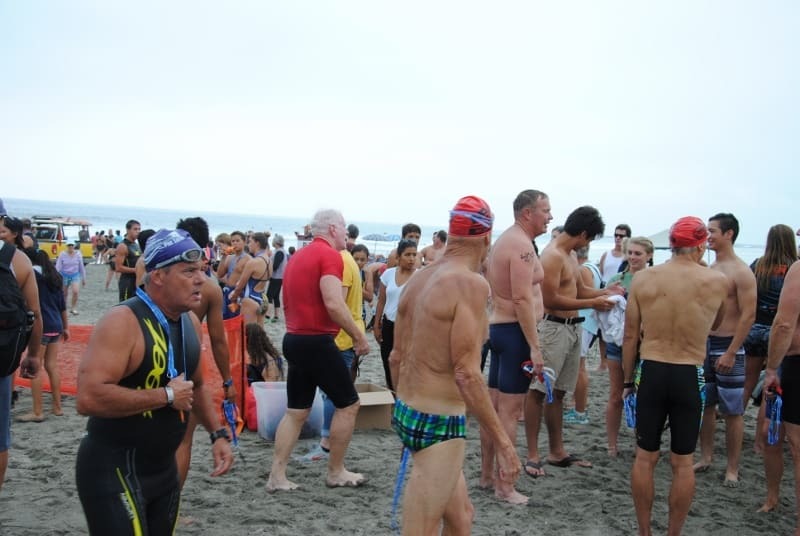 The Pier Swim has, and always will, remain a Labor Day tradition. 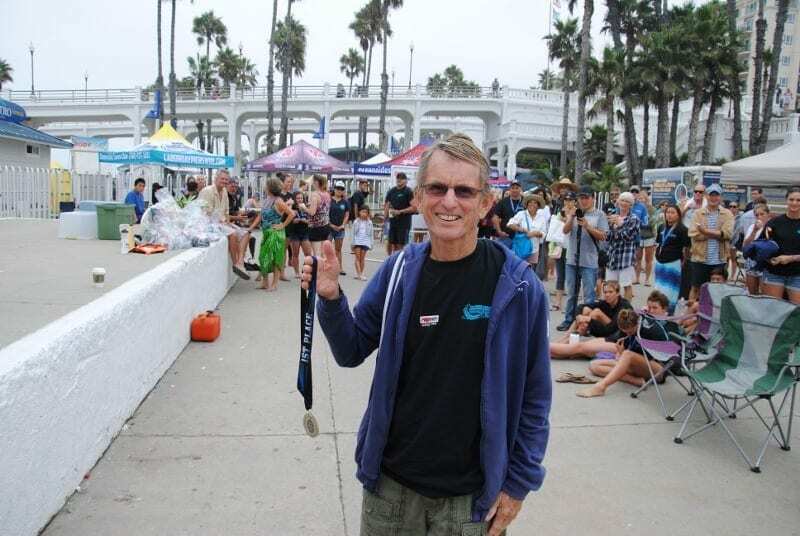 An irony of the Pier Swim is the perpetually unusual cloudy weather on the day of, which leads to cooler water, and this 88th year was no different. 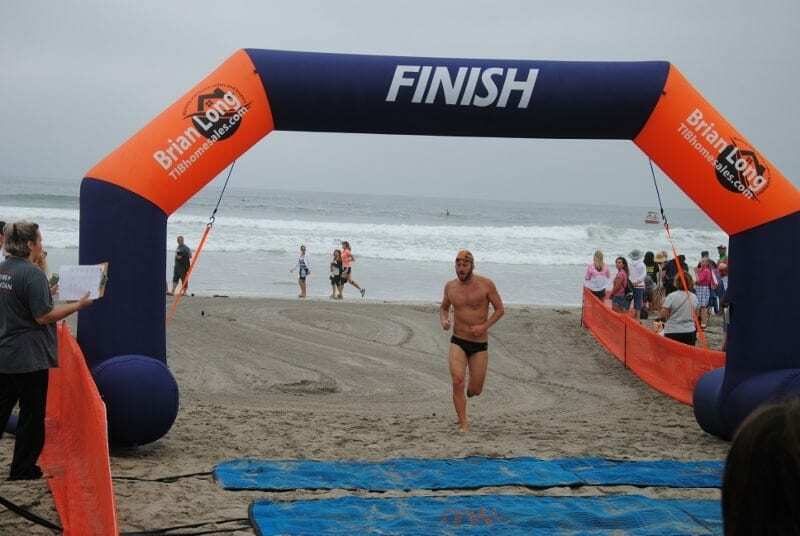 The event starts with swimmers diving into the surf, circling one mile around the pier and ultimately ends with swimmers riding waves onto the beach and dashing towards a finish line on the sand. 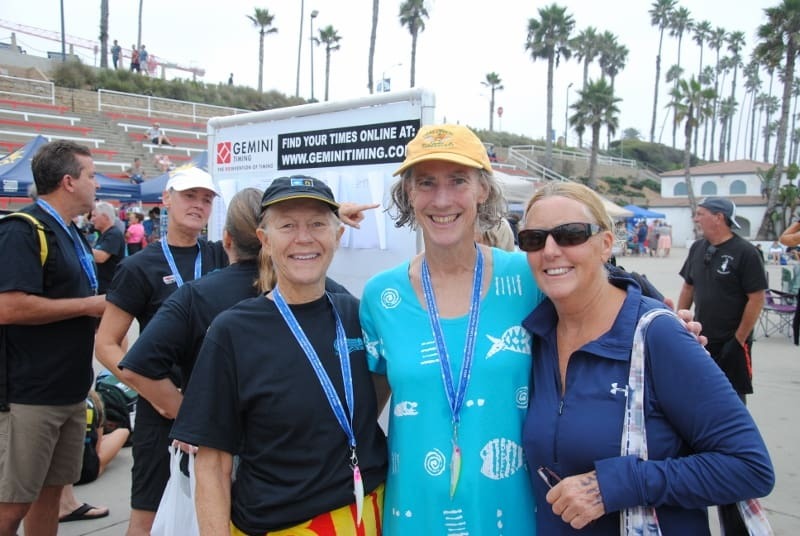 Over 400 swimmers participated this year. 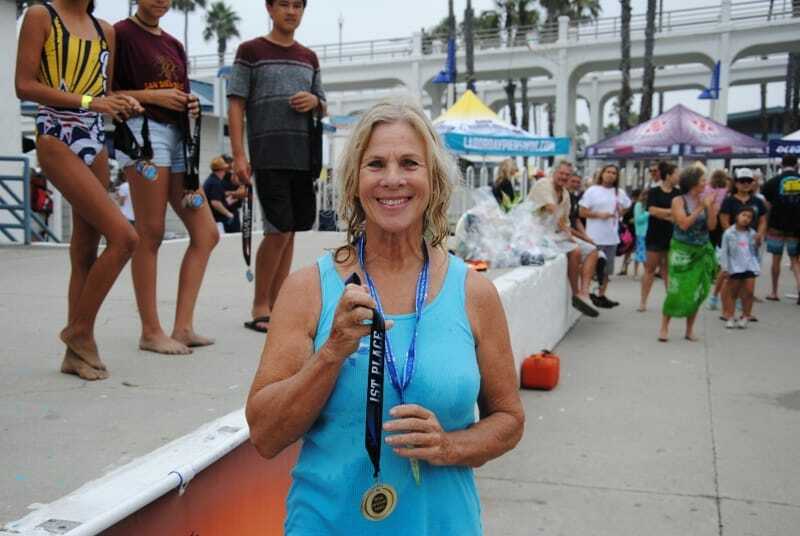 The swimmers and families gathered in the Oceanside Pier Amphitheater while the Hickory Wind Band played hot country music and old time rock and roll awaiting the award ceremony. 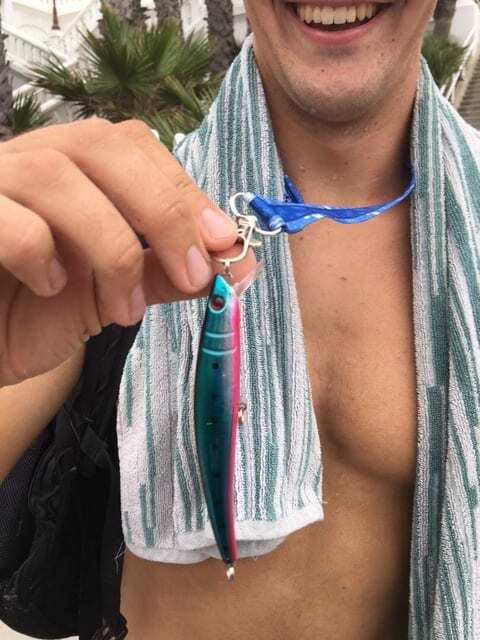 Brian Long of Brian Long Realty donated the swim cap and lanyard with a unique fishing lure for each swimmer participating in the Pier Swim 2017 as they crossed the finish line. 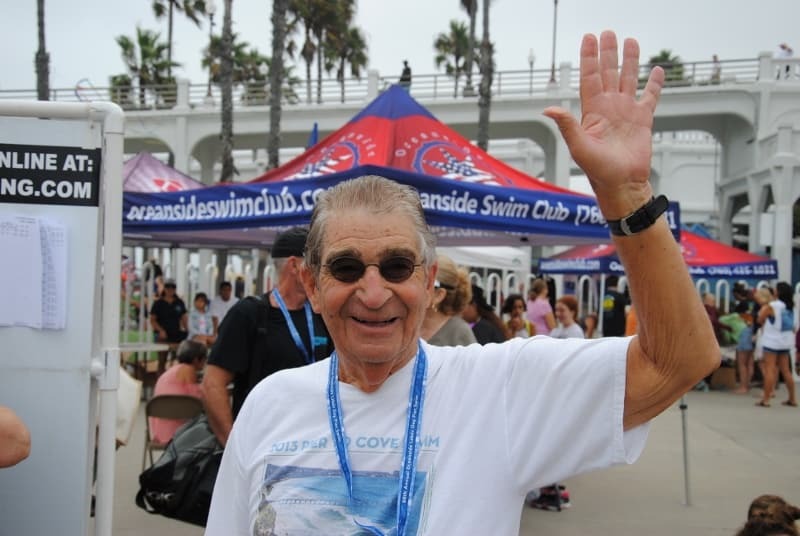 This Swim has transformed from being a fundraiser for the City of Oceanside to being the main fundraiser for the Oceanside Swim Club which is a non-profit organization and competitive swim team for children 5-18 years of age. This tradition will continue next Labor Day September 3, 2018. 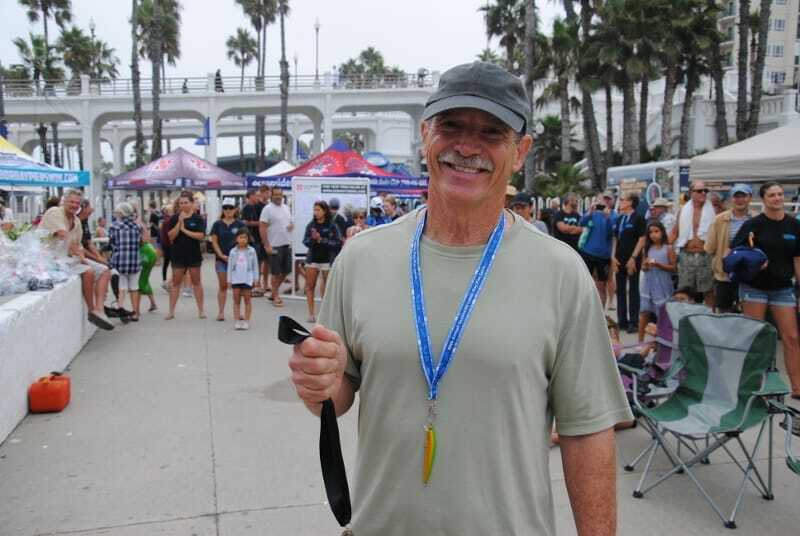 Bring your family and friends to the Oceanside Pier to watch the participants take on the Pacific Ocean and still make it home for your Labor Day barbecue. Oceanside Swim Club (“OSC”) is a non-profit organization dedicated to providing a fun, safe, and competitive atmosphere for your children. 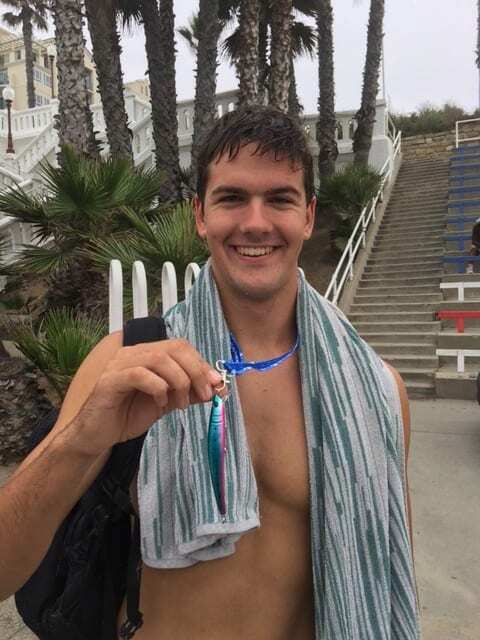 We are a year-round competitive swim team offering high quality professional coaching and technique instruction for ages 5 to 18 years old. We are managed by a volunteer board of directors. 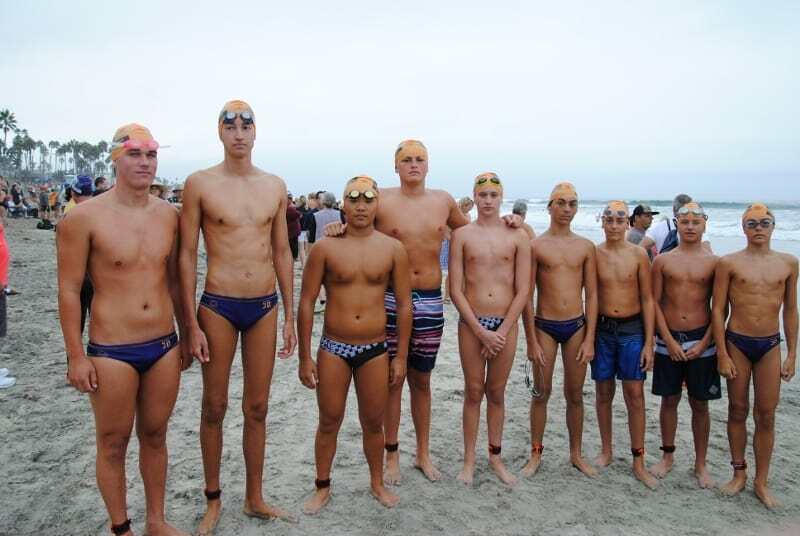 OSC is sponsored by the City of Oceanside and is a member of USA Swimming in the San Diego Imperial Swimming League.